MunSoft Data Recovery Suite is developed to meet the needs of every person that has lost data. L'offre gratuite du jour pour MunSoft Data Recovery Suite était valable le 15 mars 2013! MunSoft Data Recovery Suite est un ensemble logiciel complet développé pour répondre aux besoins de chaque personne ayant perdue des données. Il restaure tous les types de fichiers, tout en offrant une solution toute-en-un, permettant à l'utilisateur d'économiser à la fois sur le plan pécunier que temporel. Le logiciel intègre 6 programmes de restauration de données, fonctionnant indépendamment : Easy Drive Data Recovery restauration de données), Easy Digital Photo Recovery (restauration de photos numériques), Easy Office Recovery (restauration suite Office), Easy Access Recovery (restauration Access), Easy Word Recovery (restauration de Word), Easy Archive Recovery (restauration des archives). La perte de données importe peu, car que les fichiers soient supprimés accidentellement, gravement endommagés ou corrompus par un logiciel malveillant, situés sur un disque formaté ou n'ayant pas survécus à la réinstallation du système d'exploitation, MunSoft Data Recovery Suite peut tous les restaurer. Sa technologie spéciale et sa fonction de recherche brute permettent de numériser et de reconnaître près de 100 types de fichiers. Une fois le document trouvé, un fichier peut être prévisualisé et (s'il est visible) restauré. Même si les informations ne sont plus disponibles dans le cadre du système de fichiers, MunSoft Data Recovery Suite les reconnaît et les replacent. Grâce à une interface simple et des algorithmes précis, ce logiciel est un outil parfait pour qui veut gérer presque n'importe quel cas de perte de données. Merci à Mun Soft et à Giveaway of the Day . Oh Gosh...another datya recovery software....but hey this looks different and slightly better compared to the previous ones!! In fact it can not only recover lost files but also repair corrupted files (ZIP, RAR, DOC, DOCX, PPT, PPTX, XLS, XLSX, MDB) with ease. I had a corrupted Zip file in my USB drive and this tool was able to fix it with no hassle. But as usual it doesn't support the creation of bootable media, thus becoming absolutely USELESS if your machine doesn't bootup anymore. So overall this GAOTD is a good but NOT great data recovery software, because of the lack of BOOTABLE MEDIA CREATION!!! Sorry folks, but until developers like this one don't provide us a data recovery tool with this crucial option, I'll never recommend products like this GAOTD despite being FREE for 24 hours, because if your OS suddenly stops working you'll never be able to recover any data from it. 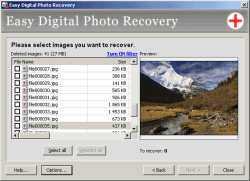 Great FREE tool for recovering files (video, documents, archives, CD-ROMs, photos etc...) from HDs, memory cards, USB flash drives and even digital camera memory. What makes this open source tool special is its ability to ignore the file system, meaning it can recover lost files even when the file system has been severely damaged or reformatted. It also supports bootable media, thus it can be run outside Windows enabling you to recover deleted files even when your PC is no longer able to boot into Windows. 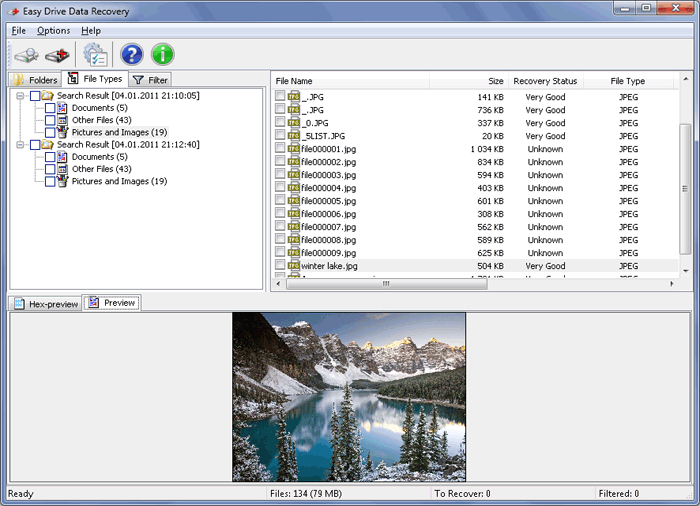 Freaking awesome Live CD Open Source backup and data disaster recovery software supporting BARE-METAL restore, meaning you can completely restore a system back even on a machine without OS or with its Hard Drives completely erased by a virus. 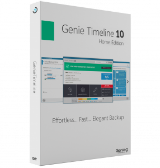 Amazing free one-click backup and restore software for home and commercial use, designed to backup both PC and Server in order to prevent data loss. Just download this Linux bootable disc (amlnx.iso) and save to the installation directory of AOMEI Backupper. Then run AOMEI Backupper, and click “Utilities” -> “Create Bootable Media” -> “Linux – Create bootable disc based on Linux kernel”, and click “Next” button to burn this ISO file to CD/DVD. This is a cool special build of Linux, enabling you to recover data from a destroyed machine, by removing malware from Windows if necessary. Just burn the ISO file to a CD, DVD or USB Flash Drive and voilà...you can start recovering your files even if the HD of your PC is totally broken. Low system resource errors, out of memory errors. Oh Gosh...another datya recovery software....but hey this looks different and slightly better compared to the previous ones!! In fact it can not only recover lost files but also repair corrupted files (ZIP, RAR, DOC, DOCX, PPT, PPTX, XLS, XLSX, MDB) with ease. I had a corrupted Zip file in my USB drive and this tool was able to fix it with no hassle. But as usual it doesn't support the creation of bootable media, thus becoming absolutely USELESS if your machine doesn't bootup anymore. So overall this GAOTD is a good but NOT great data recovery software, because of the lack of BOOTABLE MEDIA CREATION!!! Sorry folks, but until developers like this one don't provide us a data recovery tool with this crucial option, I'll never recommend products like this GAOTD despite being FREE for 24 hours, because if your OS suddenly stops working you'll never be able to recover any data from it. BEST (and BETTER) FREE ALTERNATIVES - PhotoRec &amp; Test Disk (==&gt; Softpedia Editor Pick and my Personal First Choice) Great FREE tool for recovering files (video, documents, archives, CD-ROMs, photos etc...) from HDs, memory cards, USB flash drives and even digital camera memory. What makes this open source tool special is its ability to ignore the file system, meaning it can recover lost files even when the file system has been severely damaged or reformatted. It also supports bootable media, thus it can be run outside Windows enabling you to recover deleted files even when your PC is no longer able to boot into Windows. http://www.cgsecurity.org/wiki/PhotoRec PhotoRec Step By Step guide http://www.cgsecurity.org/wiki/PhotoRec_Step_By_Step Test Disk Bootable CD &amp; Live CD version: http://www.cgsecurity.org/wiki/DOS_BootDisk http://www.cgsecurity.org/wiki/Create_a_TestDisk_FreeDos_LiveCD See also: http://www.cgsecurity.org/wiki/TestDisk_Livecd - REDO BACKUP AND RECOVERY (==&gt; My Personal First Choice to recover data from a destroyed system) Freaking awesome Live CD Open Source backup and data disaster recovery software supporting BARE-METAL restore, meaning you can completely restore a system back even on a machine without OS or with its Hard Drives completely erased by a virus. http://redobackup.org - AOMEI Backupper Amazing free one-click backup and restore software for home and commercial use, designed to backup both PC and Server in order to prevent data loss. http://www.aomeitech.com/aomei-data-backuper.html LINUX BOOTABLE DISK EDITION: http://www.aomeitech.com/download-iso.html Just download this Linux bootable disc (amlnx.iso) and save to the installation directory of AOMEI Backupper. Then run AOMEI Backupper, and click “Utilities” -&gt; “Create Bootable Media” -&gt; “Linux – Create bootable disc based on Linux kernel”, and click “Next” button to burn this ISO file to CD/DVD. - PUPPY LINUX This is a cool special build of Linux, enabling you to recover data from a destroyed machine, by removing malware from Windows if necessary. Just burn the ISO file to a CD, DVD or USB Flash Drive and voilà...you can start recovering your files even if the HD of your PC is totally broken. http://puppylinux.org/main/Overview%20and%20Getting%20Started.htm To recover data/files/movies/music from a scratched DVD/CD, BD and HD DVD for FREE: http://www.softpedia.com/get/System/Back-Up-and-Recovery/Abyssal-Recovery.shtml And finally, if for some reasons ANY files of yours (Word, Excel, PowerPoint, PDF, ZIP, RAR, Video, Image, MP3 etc...) turn out to be corrupted and you don't know how to fix them for FREE, then try to solve this damn issue by using this FREE TOOL, which can fix the following common errors: The format of the file is not recognized by the application The file cannot be read The file cannot be accessed The default application for the file type cannot open the file Low system resource errors, out of memory errors. http://www.filerepair1.com Enjoy!! Installed fine after extracting all files from .zip archive. Didn't put a shortcut icon on the desktop, but put a folder in the Start menu. 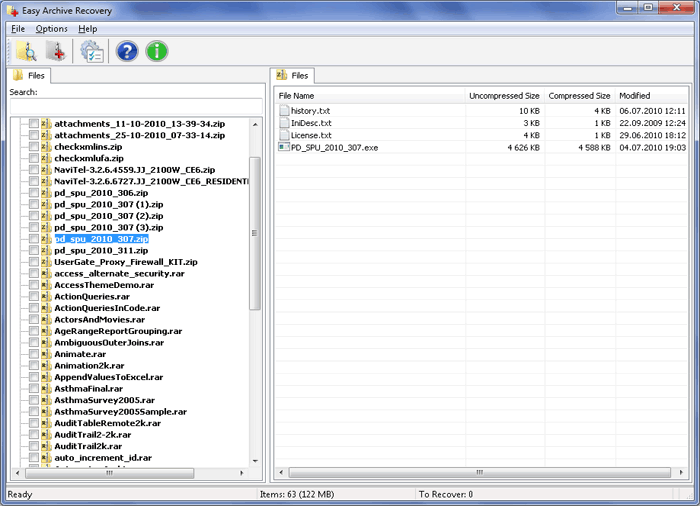 Folder is called "Munsoft Data Recovery Suite". Opened "Easy Drive Data Recovery". Click "Cancel" on the "nagware" box, as it is just a quick advertisement that only shows until successful registration is complete. Close the box that asks you to choose what you want to recover. Go to "Options" or "Help" to find the "Register" link, click on it, paste the Registration number into the box. Upon entering the Registration Number you'll get the "nagware" box again, if you don't want to buy the upgrade DO NOT HIT CANCEL, as CANCEL will not complete the Registration! Instead, just close that box by clicking on the "X" in the top right corner as you'd close any program. Once you close the box with the "X", then the "Registration Complete" box appears. Okay it to close the notification and then you'll get to use the registered program. I went to a couple of the other programs in that folder, and they open fine. The registration I did on the first program registered all of the included programs. The "nagware" (really just an ad) never appeared again, not on any of the other programs in the suite, after registering just one of the programs just the once. This is not a review of the programs, but hopefully helps folks get it registered on the first try. I tend to gather these types of programs for my "tool box", so I have alternatives to recover files should one or another not do the job. I do like to read Ashraf from DotTech's reviews before I download/install anything from any vendors that want us to try their software via giveawayoftheday. SUCCESSFUL REGISTRATION steps that I did that worked: MSWin7HomePrem 64 bit Installed fine after extracting all files from .zip archive. Didn't put a shortcut icon on the desktop, but put a folder in the Start menu. 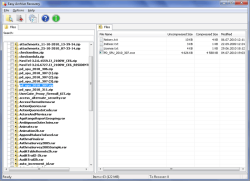 Folder is called "Munsoft Data Recovery Suite". Opened "Easy Drive Data Recovery". Click "Cancel" on the "nagware" box, as it is just a quick advertisement that only shows until successful registration is complete. Close the box that asks you to choose what you want to recover. Go to "Options" or "Help" to find the "Register" link, click on it, paste the Registration number into the box. Upon entering the Registration Number you'll get the "nagware" box again, if you don't want to buy the upgrade DO NOT HIT CANCEL, as CANCEL will not complete the Registration! Instead, just close that box by clicking on the "X" in the top right corner as you'd close any program. Once you close the box with the "X", then the "Registration Complete" box appears. Okay it to close the notification and then you'll get to use the registered program. I went to a couple of the other programs in that folder, and they open fine. The registration I did on the first program registered all of the included programs. The "nagware" (really just an ad) never appeared again, not on any of the other programs in the suite, after registering just one of the programs just the once. This is not a review of the programs, but hopefully helps folks get it registered on the first try. I tend to gather these types of programs for my "tool box", so I have alternatives to recover files should one or another not do the job. I do like to read Ashraf from DotTech's reviews before I download/install anything from any vendors that want us to try their software via giveawayoftheday. @Lydia, looks like your husband forgot to clean the stuff he downloaded which was to the same place on your computer that you downloaded files to. This program downloaded from the site just fine for me and the only the the 'open folder' button of IE9 showed me were the files on my computer of the same folder where I had saved the executable to. That is fishy and your comment is misleading. I am sorry you had that happen to you and to your 11 year old. On a more positive note, this program may help recover other photos of on the PC. You may want to do that with your husband present. @Lydia, looks like your husband forgot to clean the stuff he downloaded which was to the same place on your computer that you downloaded files to. This program downloaded from the site just fine for me and the only the the 'open folder' button of IE9 showed me were the files on my computer of the same folder where I had saved the executable to. That is fishy and your comment is misleading. I am sorry you had that happen to you and to your 11 year old. On a more positive note, this program may help recover other photos of on the PC. You may want to do that with your husband present. Im comparing it to Recuva a freeware suite coded by the same people who brought us Ccleaner, how can this software cost $99.55,while Recuva is free?!! I rest my case M'lud..
Im comparing it to Recuva a freeware suite coded by the same people who brought us Ccleaner, how can this software cost $99.55,while Recuva is free?!! http://www.piriform.com/recuva I rest my case M'lud..